MarketReportsOnline.com adds "United States Spine Market (Lumbar Fusion, Deformity, Cervical Fusion, VCF, Cervical Disc & Lumbar Disc): Industry Analysis & Outlook (2019-2023)" report to its research store. Pune, India - March 26, 2019 /MarketersMedia/ — Spine, also known as vertebral column or back bone, is a series of several irregular bones (vertebrae) located in the back of a human. Spine houses a spinal canal which protects the spinal cord by enclosing it. Spinal cord is a thin and long tubular bundle of nervous tissue and support cells. It acts as a pathway between brain and the body. There exist numerous spine disorders with various levels of severity. These disorders can be segmented under three categories which include spine deformity, spine trauma or tumor and degenerative spine disorders. Complete report on “Global Spine Market” with providing 4 company profiles and 51 charts is now available at http://www.marketreportsonline.com/783714.html. 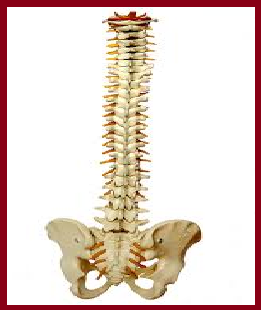 Purchase a copy of this “Global Spine Market” report at USD 900 (Single User License) http://www.marketreportsonline.com/contacts/purchase.php?name=783714. Explore more Pharmaceuticals Market research as well as other newly published reports by Koncept Analytics at http://www.marketreportsonline.com/publisher/koncept-analytics-market-research.html. Market Reports Online is a comprehensive online library of more than 100,000 reports, in-depth market research studies on thousands of micro markets and a range of industries. The reports are analytically and statistically rich, and offer a comprehensive view of the dynamic market scenario across the globe. We offer online and offline support services to ensure your research requirements are met on time.